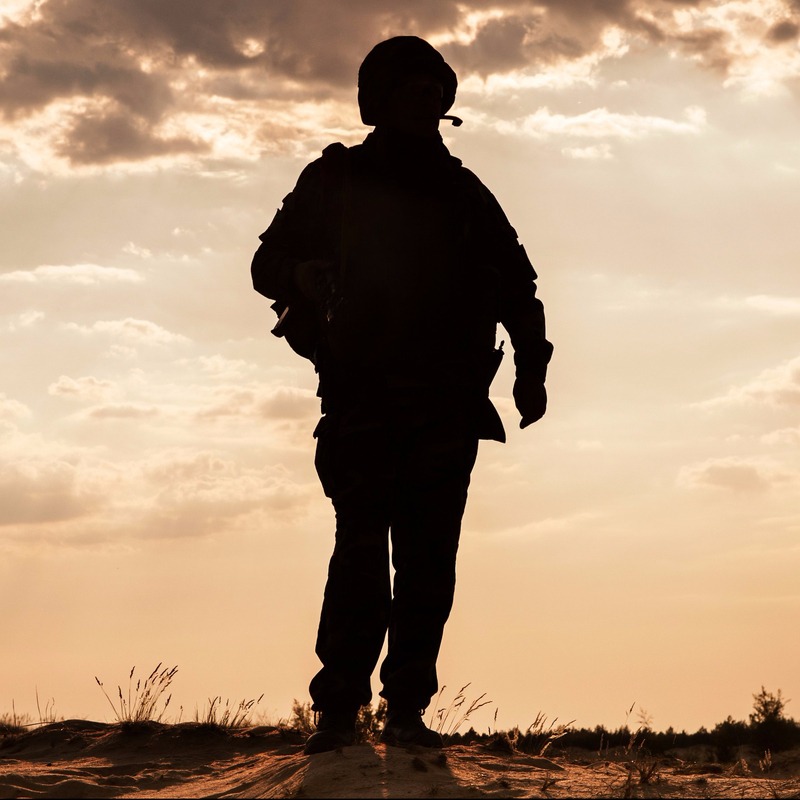 In several past posts I have talked of Max Harris, a former Army Arabic linguist who has bravely written of his struggles with combat trauma /PTSD in his blog, Every Day Is a New Day. Below is Max’s most recent post. I have had the honor of working with Max as a friend and fellow blogger over the past year, and I have especially been glad that he had been able to find a solid, meaningful therapeutic relationship with his psychologist at his local Community-Based Outpatient Clinic (CBOC) in Allentown, Pennsylvania. I was quite saddened, therefore, to learn of his therapist’s recent passing–and especially saddened at how deeply the doctor’s death has impacted Max. Below is Max’s tribute to his therapist, Dr. Joseph Casagrande. It speaks for itself, both in his pain, his frustration, and his hope. I gladly reblog it to share with others the work that this dedicated clinician did with Max and with other men and women who have served in the military. May Dr. Casagrande’s work and compassion continue to be an example to us all. I never even knew his first name. We just always called him ‘doc’. I didn’t even know him for very long, but Doc Casagrande had a huge impact on my life. About a year ago, when I was out on short-term disability and learning how to cope with my PTSD, I found out about his Cognitive Processing Therapy (CPT) Group and asked to join it. That’s when I first met him. We met one on on and he asked me pointedly whether I was committed to learning the tools I needed to learn to better my life. That should have been the first clue that this doc was different. I went to my first group session two weeks later…and my life was changed forever. He was an amazing man. He never wore his heart on his sleeve but his passion for helping veterans came through in his straightforward attitude and brutal honesty. He told us what we needed to hear, no matter how difficult. This was his gift to us, he taught us to look at our behaviors and beliefs unflinchingly, to never back away from a problem. Doc always knew what we needed to hear and talk about the most and directed group discussion. He didn’t drone on and monopolize group time. He asked pointed questions and, throught his direction and the support of the other veterans in the group, each of us learned more about ourselves and what we could do to make changes for the better. Four weeks ago, Doc wasn’t at group. Neither was anyone else. When I asked where everyone was, I was told that Doc was out sick. Concerned, I let it ride. Two Wednesdays ago, someone else was leading the group, a clinical social worker (for more about this group session, click here.) By this time, Doc Casagrande had already passed away. No one said anything. When I asked about Doc, the social worker evaded the questions with ‘I don’t knows’. Growing more and more concerned, I went to group today and noticed that the room was empty again. I didn’t wait around. I left and drove around for a little, thinking. In the end, I came back just after the group was ending and I ran into another doc that I have worked with and asked him for a no-bull explanation as to what was going on. The doc stared at me, stunned. The look in his eyes told me everything I needed to know but the doc said. He passed away. I found out that Doc Casagrande had passed before the last group session that I had been to and I felt the lights grow dim. My world took on a much more threatening glow. As I said in my previous post, ‘The VA Screwed Up, Big Time.’ I was angry and very distraught. My grief was eating me alive. As I have had many times in the past when I have worked with Doc Casagrande, I felt a moment of clarity. The grief is still there and still profound. The fact that I never got the chance to say goodbye, to have closure, will haunt me for quite some time. What that moment of clarity gave me was resolve – to continue to do the work he would have wanted me to in order to make the most of my live. And to make a difference for others. That moment of clarity showed me that, while I was robbed of my right to honor the man after he died, I could live my life – the live he had made possible – in his honor. To live my life as he lived his: with compassion, honesty, integrity, and unflinching resolve to do the right thing. Thank you for sharing this with your readers. It means a lot to me that others will be touched by my memories of him, even if they didn’t know him. He was an amazing person and I still can’t fully grasp the fact that he’s gone. Thanks for being a true friend, Rod, and sharing in my grief. No one likes to grieve alone.